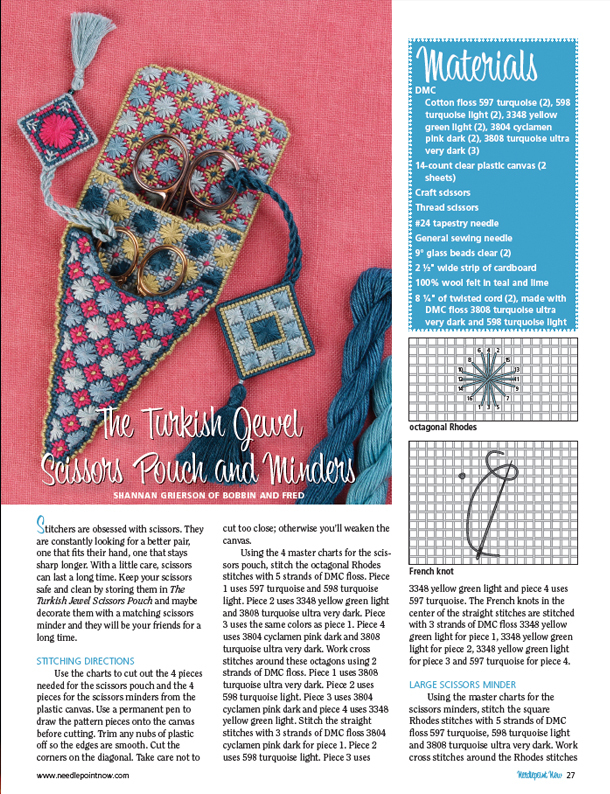 Pattern: Turkish Jewel Scissor Pouch and Needle Book, and How To Make Tassels!! 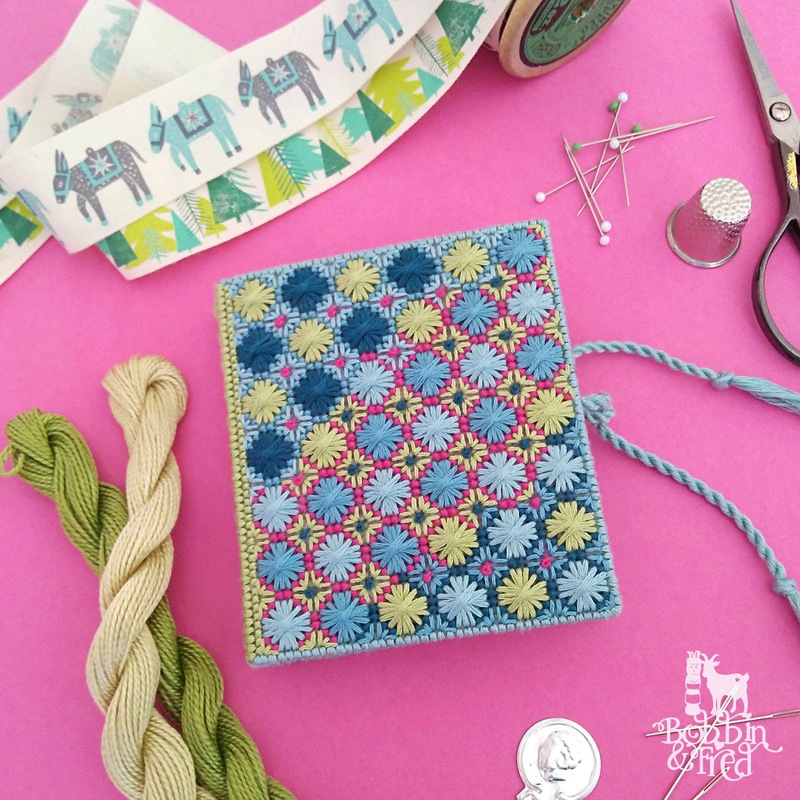 WARNING: This jam-packed post contains loads of stitchy goodness! Today I'm sharing all the juicy gossip about my latest published pattern, there's info about a freebie especially for my subscribers, and a quick tutorial showing how to make tassels for everyone to enjoy! ...and, today, with great excitement and much delight I'd like to introduce you to the Turkish Jewel Scissor Pouch and Minders! 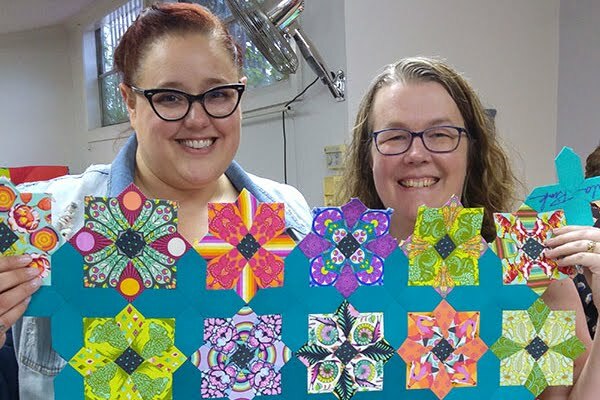 This entirely handsewn project is the perfect place to keep your scissors safe and the two matching scissor minders mean you'll always be able to spot your scissors in your craftermath. This richly stitched needlepoint pouch comfortably fits a pair of embroidery thread scissors and a pair of 13cm blade sewing scissors. Some of you may remember I designed the stitch pattern last year after a series of experiments with Rhodes stitch. Read my post, Experiments with Rhodes Stitch on Plastic Canvas to discover my inspiration, how I came up with the colour palette and pattern, and all of the swatches I sewed before I landed upon this composition. I made my scissor pouch with DMC stranded cotton (the thread shade numbers in the photo above are for DMC) but you can substitute them with any stranded floss of your choice. I love these colours but you could personalise the design by choosing your own palette. If you'd like some colour inspiration, check out my thread palette ideas on Pinterest. I think some might be surprised to discover that the whole pouch is stitched onto 14ct plastic canvas! Yup, that's right, plastic canvas has never looked so Moorish, has it? (punny times intended). Plastic canvas works so well for this project because it makes the pouch very sturdy and holds the scissors snugly, ensuring they won't fall out while you're carrying them about in your project bag. My favourite parts of this design are the matching scissor minders. My scissors have never looked so good and now I can't imagine them without these sumptuous minders. The matching twisted cord is the highlight for me, I treated myself to a Krenik Custom Corder so I could make my own cord for this project and I'm so glad I did... I thought making cord would be tricky but it takes seconds! I'll do a review on that soon as it's such a handy gadget. However, if you don't fancy making your own you can use the ready made variety or ribbon instead. 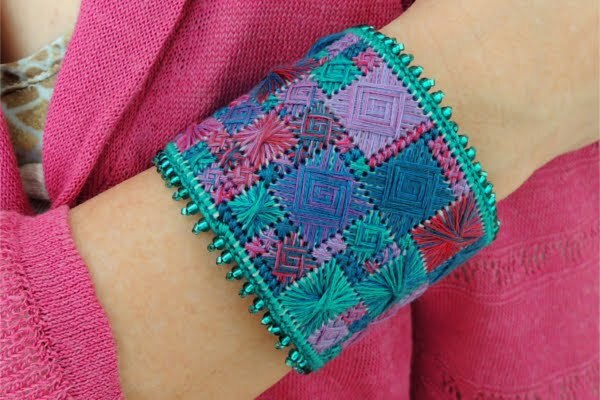 I love tassels and have long since admired them on other needlepointer's designs. These ones by Ann-Marie Anderson-Mayes are especially divine and it turns out Ann-Marie's right, they're really easy to make! All you need is a bit of cardboard and a few minutes. Time to make: 10 mins! They really are that quick! 1. At the top of the cardboard strip, lay a 6" length of DMC floss. With a second length, wrap the unstranded floss around the strip of cardboard (encasing the thread at the top) 13 times. Make sure the ends of the wrapping thread are at the bottom of the cardboard. 2. Knot the strand laying lengthways along the top of the cardboard to create a loop. 3. Cut through all of the threads along the bottom. 4. Carefully remove the strands from the cardboard and wrap and knot a length of thread near the top of the tassel to secure it into place. Wrap the remaining length of thread over the knot to hide it and stitch through the gathered threads a couple of times to secure it before trimming the excess. 5. Cut all of the threads of the tassel to the same length and then separate each length of thread into its 6 strands for a fuller and more chic appearance. That's all there is to it! Your tassel is now ready to add to your project. I wanted mine to match the counted canvas needlepoint so I used the same stranded cotton I stitched with but it'd even be quicker to wrap with a single strand of cotton thread as then you could skip having to unravel the lengths at the end. The other piece of kit that came in handy was a ring thimble. It's not essential but pushing the needle through to complete the overcast stitch around the outside edges was a cinch with a ring thimble and meant I didn't get sore fingers. Is your needle itching for a stitching? This beautiful project is out right now. The full tutorial and charts are published in the November/December 2018 issue of Needlepoint Now, grab your copy today! * 8 1/4" of twisted cord (2), made with DMC floss 3808 turquoise ultra very dark and 598 turquoise light. 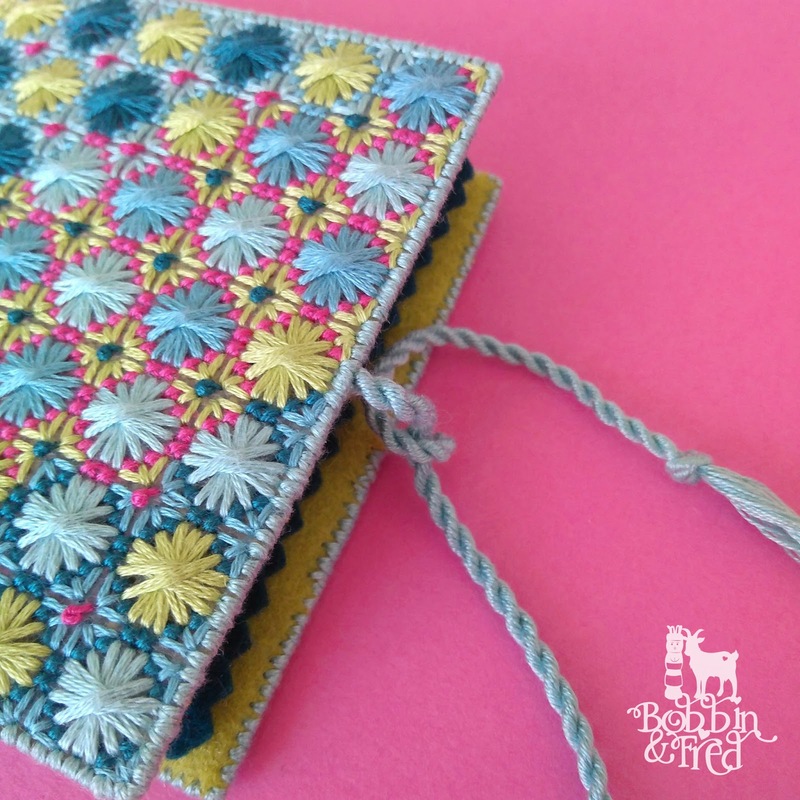 The Turkish Jewel Needle Book - A Free Tutorial For My Lovely Subscribers! If the Turkish Jewel Scissor Pouch isn't enough, I've also designed a matching needle book for you! It's super cute and so nice to use and tactile to hold, I'm loving mine. With the scissor pouch I changed the colour placements to create a different look for each tier of the design and for the needlebook I used the same idea, stitching one colourway flowing into the other, to create movement and interest. I'm pleased with how it turned out but what do you think? It's made using 14ct plastic canvas, again for an easy and sturdy construction, and ties with some more yummy matching cord. The PDF tutorial for the Turkish Jewel Needlebook is free for my subscribers, if you're signed up to my newsletter a voucher code will be winging its way to you in my next newsletter! Not signed up? No worries! New subscribers will also receive the code and you can sign up in a couple of clicks, join my newsletter here. I hope you love these gorgeous project bag essentials as much as I do, and feel inspired to make them for your own sewing kit...or the kit of a special needleworker in your life! If you make any of these projects or they inspire you to make something else, I'd love to see! Share your makes with me, Bobbin and Fred via email (bobbinandfred @ hotmail .com) or tag us on Instagram using @bobbinandfred and #bobbinandfred.